If you’re looking for quality silvers and big perch fishing you don’t necessarily need to head for your local river as there are probably waters closer to you than you think. Hidden below the surface of your local carp fishery there’s some excellent sport to be had and the best bit is nobody fishes for them! 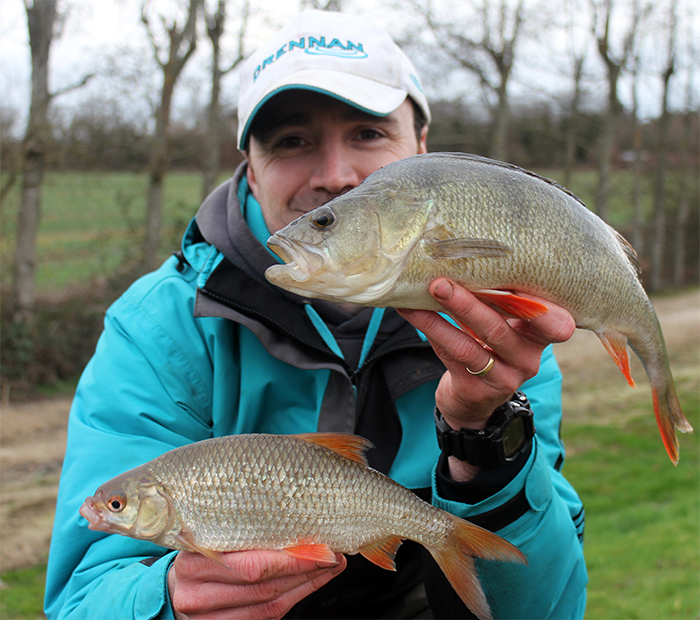 Growing big on a constant supply of quality bait provided by the carp anglers the roach thrive and where there’s plenty of prey fish, the perch will always do well too. 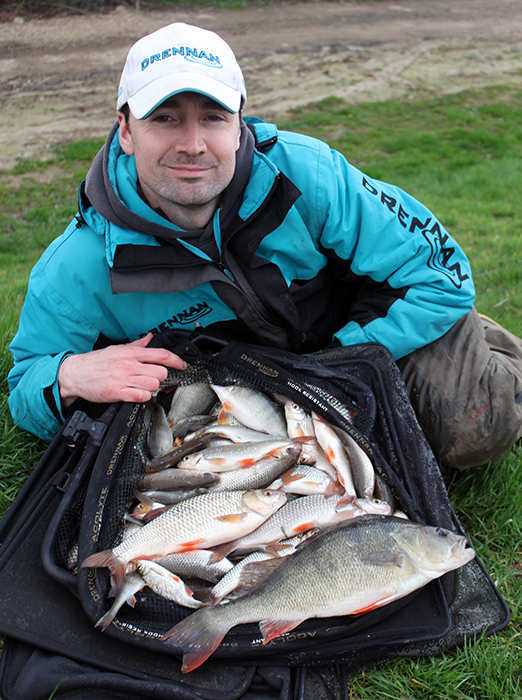 For my most recent trip, I travelled to Tricklebrook Fishery in Kent for the first time. Whilst there are carp to almost 40lb in the main lake, I was excited to see what else there was and as I had heard rumours of some big perch it would be these I was going to concentrate on. I set up roughly in the middle of the lake and decided to fish the pole for no reason other than it’s my most enjoyable way of catching big perch. I set up a couple of lines and decided to rotate them through the day. My first line was 11m to my left margin to a large bush. These sort of features will always hold perch who like to hide amongst the sunken branches before ambushing their prey. My other line was also 11m straight in front of me at the bottom of a shelf where it dropped off into slightly deeper water. 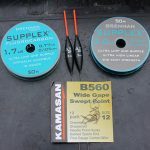 My rig for each was almost identical; a 0.5g AS3 float on 0.10mm (2lb) Supplex to a 0.10mm (1.7lb) Supplex Fluorocarbon hook length finished with a size 12 Kamasan B560. The wide gape bend on this particular pattern being perfect to hold large worm sections or half lobworms. Shotting wise I had a strung out bulk of No.8s in order to minimise resistance to a taking fish with a couple of No.10 droppers to aid presentation and sensitivity. 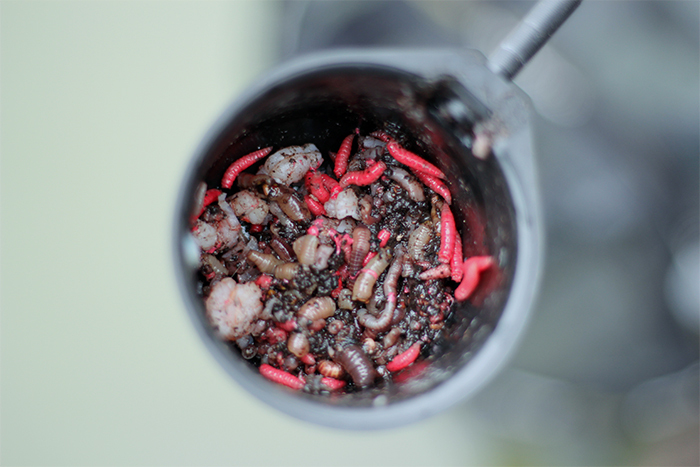 I fed the bush swim with a combination of finely chopped worm, maggots and prawn whilst the open water line was fed with large sections of lobworm and half prawns. For an added edge I gave all of it a generous slug of Sticky Baits Cloudy Krill liquid. From the start of the session, the bush swim was alive with small perch, some barely longer than my lobworm hook bait but the open water swim was very quiet. To cut a long story short the weather was terrible, I struggled for presentation and it was very quiet on both lines for a couple of hours. With only an hour left I decided to set up a third line short at about 6m and fish maggots to see what else I could catch. 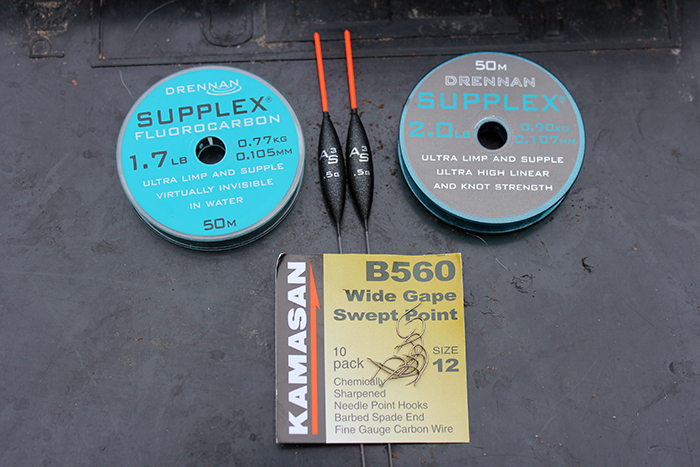 My rig was similar but with a lighter 0.4g AS3 and a size 20 Kamasan B510 to 0.09mm (1.3lb) Supplex Fluoro hook length. I had been trickling a few maggots onto this spot whilst fishing elsewhere but I was still surprised to see the float bury on my very first put in and a nice chunky roach was the reward. To say this last hour was frantic would be an understatement! I started to feed heavier and heavier, throwing in large handfuls of maggot twice every put in and the roach came thick and fast. The more I fed the larger they got and within no time at all, I had well over 10lb of roach. Excellent fun on a cold winters day! Just before packing up I decided to have one last look on my open water perch line with a big lobworm hook bait. The float sailed away and after a dogged fight in the deep margin a big perch well over 2lb popped up and was quickly netted. This fish clearly showed the potential of this lake and I will definitely be back to target them again. All in all, I had an excellent day’s fishing on this short winter session and it clearly demonstrated the hidden silvers potential of this lake. Best of all I had the lake to myself, so why not get out there and give your local carp fishery ago!